Now we can make this real complicated and academically opaque, or we can get down to the essence of branding for small businesses. The latter is the chosen route. 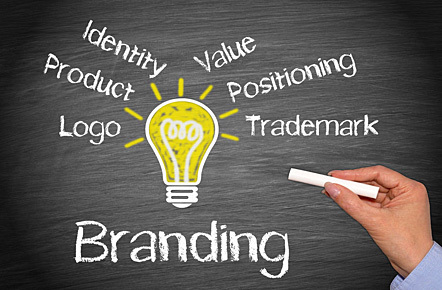 Branding identifies a company and its products/services in a way that is both memorable and distinguishes it from the competition. Let’s start with memorable. A-1, big-league, extraordinary, stand-out, major-league and unforgettable. The competitive landscape may be described as seeing a large group of competitors all yelling, “Look at me! Look at me!” The chant comes down to each trying to communicate being the best. Your job is to rise above the noise level and be seen as the vendor of choice … distinguished from your competitors by demonstrating how you are qualitatively different … not just the best. In developing your brand, include three critical elements. Ideally, your company name describes what you do. For example, here’s a company named Adapt Staffing Agency. Guess what they do. Yup. They help growing companies looking for temporary placement, long-term placement or temp-to-hire services. AC Glass is another example. There is no denying the services this organization delivers … all residential and commercial glass needs. Your logo is the quick-glance identifier of your business. A symbol or image is usually much more readily identified than text. Viewing the two companies described above, take a look at their logos. Both are attractive plus readily identifiable and memorable. 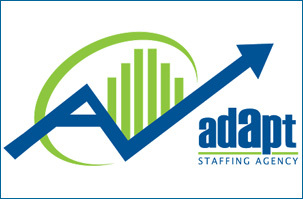 The Adapt Staffing Agency logo is memorable in its use of contrasting, bright colors plus graphics that indicate growth and profitability. 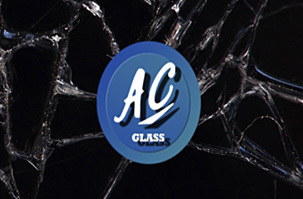 The AC Glass logo is memorable based on a stylized presentation of the company name on a background that suggests strength and professional achievement. A tag-line is the third element in your branding strategy. Your tag-line will instantly deliver the message of what you do and what results your customers can expect. Staying with our two examples above, you easily understand that Adapt Staffing Agency promises Premier Staffing Candidates … Because We ADAPT to each one of our clients’ staffing needs. And AC Glass inspires confidence as … Richmond Virginia’s Premier Glass Shop Since 1967. Small businesses that serve a relatively local clientele have a single branding challenge – creating and maintaining top-of-mind awareness – both now and long-term. That means make sure you are remembered by delivering on what is memorable to your customers, referral partners and prime prospects. communicate on a regular schedule using a variety of media. Your reward: top-of-mind awareness of your brand and product/service offerings. Your brand may well take years to be widely recognized. That means a lot of time, effort and money on your part to create and promote your brand. Therefore, a prudent step is to protect your name, logo and perhaps even your tag-line from being copied or otherwise misused. Do so through trade marking. Your customers and prospects make buying decisions every day. Your referral sources are referring every day. And the decision choice is the same for all: who is the top-of-mind provider. Your challenge is to create and maintain top-of-mind brand awareness. That way you ensure being at the top of the list when the buying decision or referral opportunity surfaces.